Geriatric medicine is the branch of general medicine concerned with the health care of older people. The term geriatrics comes from the Greek geron meaning ‘old man’ and iatros meaning ‘healer’. Older people are the main users of health and social care services and their high morbidity rates, different patterns of disease presentation, slower response to treatment and requirements for social support, call for special medical skills. Geriatricians provide high quality clinical care for older people as part of a multidisciplinary team during acute illness, chronic illness, rehabilitation and at the end of life, in both hospital and community settings. Click here to visit the BGS site. There is a specialist section within the BGS – Falls and Bone Health. 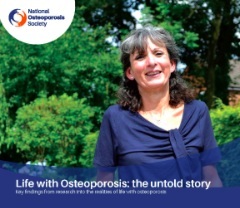 Dawn Skelton is a member of the BGS FBH Committee and was the first non-medical member to be elected. Susie Dinan and Vicky Goodwin (both from LLT) have also served on the committee. For further information about the specialist section, click here.